February was good reading month. I had set a goal to read at least 5 books in the month of February and I did it! Although according to Goodreads I'm currently five books behind schedule in my reading challenge. This month I have a goal to read another 5 and thankfully it's Spring Break so I'm hoping to get a lot of reading in! I'm only reviewing 3 of the five I read in February because I was able to review two of them in my January reads post. Which you can read here. Goodreads Synopsis: Catherine may be one of the most desired girls in Wonderland and a favorite of the unmarried King, but her interests lie elsewhere. A talented baker, she wants to open a shop and create delectable pastries. But for her mother, such a goal is unthinkable for a woman who could be a queen. My thoughts: Of the books I read in February this was by far my favorite! I LOVED this book. I was a little worried because I really loved The Lunar Chronicles and I was worried that this book wouldn't live up to those. But it totally supposed my expectations. I feel like there are a ton of versions of Alice in Wonderland out there but none of them focus on the story of the Red Queen. So it was fascinating to read one person's perspective on why she is the way she is. I was sad when I found out that this is going to be a stand alone novel. I would love to read more about her version of Wonderland and more on the Red Queen but alas that is not to be. We read this book for one of my book clubs and I'm super excited because we've decided to have a tea party in April and officially talk about the book! Goodreads Synopsis: After their zoo was bombed, Polish zookeepers Jan and Antonina Zabinski managed to save over three hundred people from the Nazis by hiding refugees in the empty animal cages. With animal names for these "guests," and human names for the animals, it's no wonder that the zoo's code name became "The House Under a Crazy Star." Best-selling naturalist and acclaimed storyteller Diane Ackerman combines extensive research and an exuberant writing style to re-create this fascinating, true-life story—sharing Antonina's life as "the zookeeper's wife," while examining the disturbing obsessions at the core of Nazism. My thoughts: I'm not even sure where to start with this one. So I first heard this title as I was watching the movie trailer for the film based on the book. And seeing as how WWII historical fiction is basically my favorite, I knew I wanted to read the book before I saw the film. So I bought it and was surprised to realize that this is not a historical fiction (based on a real life figure) at all but actually a non-fiction book. I'm not a huge fan of non-fiction books. In fact I'm pretty sure I've never actually read one before now. I thought the book was only going to be about Antonina and her zoo but the author actually goes into a ton of detail on the "guests" (which was what uses to refer to the thousands of Jews Antonina and her husband hide in the zoo during the occupation of Poland) of the zoo and on the science surrounding the doctrine of the Nazis'. I found myself just wanting to read the parts about Antonina and skimming all the other parts. One thing I didn't like was that she would jump from writing as if it were a fiction novel to writing like it was a non-fiction one. It read like novel when she was writing about Antonina but then would switch to a non-fiction style writing when she went into details on the "guests" staying at the zoo and on why and how the Nazi's came up with their ideology regarding creating a "pure race" (insert hard eye roll at that last part). She also went in to a lot of detail on the Polish Resistance because Jan Zabinski played an instrumental roll in the fight against the Nazis by the Polish people. Now my thoughts and feelings on the book will in no way stop me from seeing the movie. Mostly because I have a feeling this is going to be one of the rare instances when the movie is better than the book! If you like non-fiction then it may be the book for you, but if you've seen the trailer for the movie and think the book is going to be strictly about Antonina and the hiding of Jews in her zoo, then just wait for the movie! Goodreads Synopsis: They said she was a murderer. My thoughts: I found this book at Target and was immediately drawn to it. I was in the mood for something a little darker and this fit the bill. The story was intriguing and left me guessing pretty much the entire time. I did think the ending was a little rushed. I would have liked a little more detail and a little more closure. I gave it a five stars on Goodreads but with the rushed ending it was really more of a 4.5 rating. I'd really like to read another of Chevy Stevens books, particularly Never Let You Go. I have a pretty long list of TBRs but I have a feeling I'll be purchasing it in the near future. Goodreads Synopsis: One duel could be considered a matter of honor, but three duels are attempted murder! With enlightened society outraged at such reckless behavior among young noblemen, the Prince Regent orders Robert Whitworth, the earl of Tamdon’s heir, and Lord Dominic Wolfe to end their dispute by allying their families through marriage. Whichever party refuses to comply will forfeit his lands and title. Whitworth relishes the idea of sending his younger sister Brooke to his enemy’s remote estate. He knows the Wolf will reject her as a bride, thereby losing his wealth and status. The Wolf, however, is determined to scare away the Whitworth chit. With dueling no longer an available means of destroying the man he abhors, he will be satisfied to see him lose his lands and title. But he hadn’t expected his enemy’s sister to be so resourceful or resilient. Brooke Whitworth has been dreaming of her first Season in London because she intends to win a husband who will take her far away from her unloving family. Instead, she is being sent to the Yorkshire moors to wed a mysterious nobleman whose family is cursed and who has thrice tried to kill her brother. But there’s no room in her heart for fear; this man is her means of escape. She will make him love her! 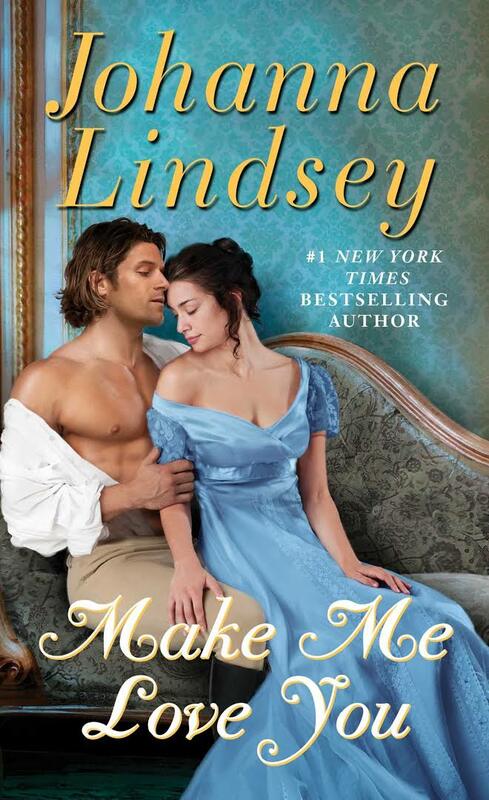 My thoughts: This wasn't my favorite Johanna Lindsey book. I love her Malory series and this one just wasn't as good as those. It passed the time just fine and would be an ok read if you're looking for something but she just has so many others that are so much better. That I can't whole heartedly recommend this one. 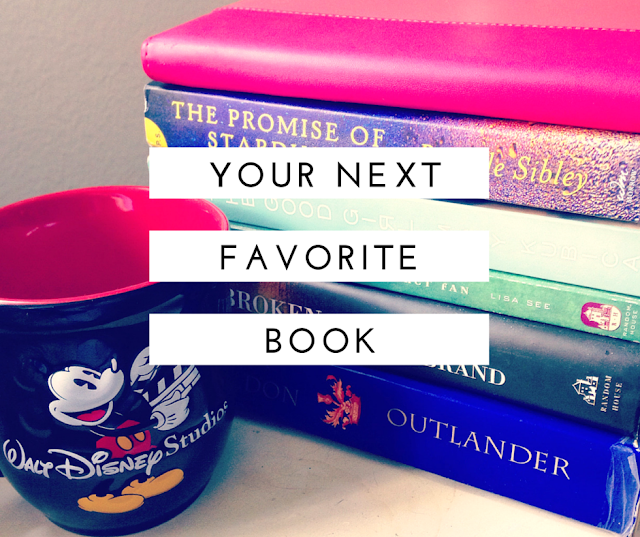 So like I said, if you have to pick at least one of these to add to your own TBR I would suggest Heartless. It really was very well done and I wish I owned it myself because it's definitely one that I would go back and read again on a rainy day when I needed something to read! 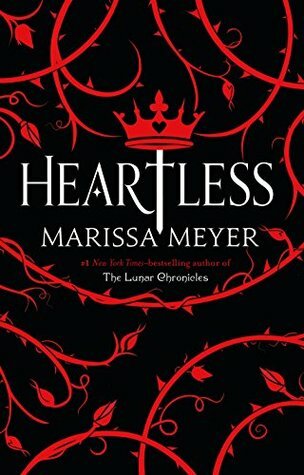 Just finished The Lunar Chronicles, so I am hoping to read Heartless soon! Although I already share your disappointment about it being a stand-alone, if it's anywhere near as good as her others. i skimmed your review of Heartless because I still haven't read it lol but it is absolutely on my list.. on my shelf at home.. I've heard mixed reviews so I'm a little scared lol. what you said about the zookeeper's wife is basically why i skip non fiction most of the time. i like when they are written like fiction - which sounds silly, but it's more enjoyable to read. most non fiction books aren't written like that though, understandably so, but still. i will wait for the movie on that one. I read That Night a couple of years ago in one sitting. I really enjoy Chevy Stevens's books and am currently reading her new one. While I love the premise behind The Zookeeper's Wife, I will not read any books that take place during WWII, fiction or nonfiction. I desperately need to read Heartless! Even though Alice In Wonderland isn't my favorite book, I love Marissa Meyer, so I know that I'd still pick it up and probably love it! That Night sounds really interesting! I love good mysteries and thrillers, so I'll probably pick it up (hopefully soon) or maybe borrow your copy! I hope that you get lots of reading done during Spring Break! I saw the trailer for the Zookeeper's Wife recently as well and I am going back and forth about deciding if I want to read it or not before the movie. Nonfiction isn't my favorite genre in most cases, but I'm still considering giving it a try. 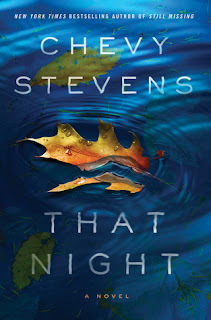 I think this is the 4th or 5th time I've seen a Chevy Stevens book in a post today so I'm officially intrigued! I need to get around to the Lunar Chronicles and other Meyer books! That Night sounds interesting, adding it to my TBR! That Night is on my list to read! 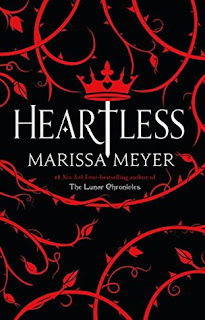 I loved the Lunar Chronicles so I immediately read Heartless. Unfortunately, I am definitely in the minority camp and it left me underwhelmed. I am not a big fan of non-fiction either and WW2 books are hard for me to read even when they are fiction. I'm not sure if I could handle non-fiction WW2. I just read my first Chevy Stevens, Never Let You Go, and enjoyed it overall. Adding That Night to my TBR. Oooh adding That Night to my Goodreads right now. That sounds really good. I'm glad to hear you liked Heartless! I've heard people were a little meh on it. 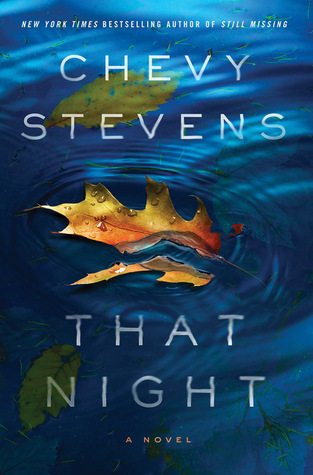 Never Let You Go was my first Chevy Stevens book this month, so I definitely want to read That Night now! I still need to find the time to read Winter, but then I'm SO excited to finally read Heartless- which I do already own a copy of, so I'll be ready when I have time. I didn't love "The Zookeeper's Wife" either but I'm excited for the movie! I have Heartless on my bookshelf and need to pick it up soon! 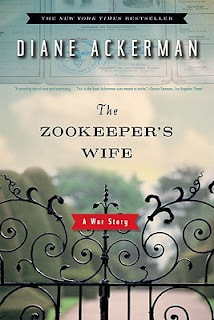 As someone else with a love of WW2 historical fiction, I will be adding The Zookeeper's Wife to my TBR. I've also been looking for some non-Allied perspective, so this may be right up my alley. That sounds sketchy, so I'll explain that I'm not a Nazi, I just like seeing both sides and most WW2 fiction is from the "good guys" perspective, which tends to become repetitive after a while.